Hearings ahead on proposed change to the urban limits: submissions to the Bay of Plenty Regional Council on proposed Change 4 closed on 4 July 2018, and hearings are taking place 6 August 2018. 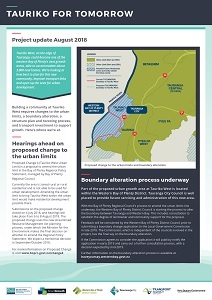 Boundary alteration process underway: with the process to amend the urban limits line underway, the Western Bay of Plenty District Council is starting the process to alter the boundary between Tauranga and Western Bay. 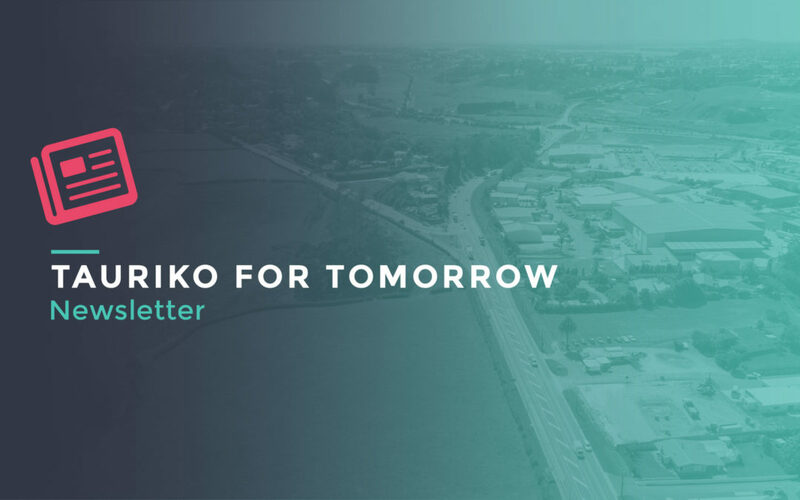 Transport plans to support growth: the Transport Agency is working to identify the best solutions for the transport network in Tauranga’s Western Corridor, and progressing safety improvements over the next one to three years. Technical assessments to inform structure planning: Tauranga City Council is working on technical assessments and modelling as a basis for the future structure plan. These technical components aim to create a resilient and well-connected community. Click the image below to view the latest newsletter and read more on each workstream.